SpaceX has shipped to Cape Canaveral the first Falcon 9 booster equipped with upgrades to haul heavier cargoes to orbit, aiming for a mid-December launch in the space transport company’s first mission since a June rocket failure grounded the Falcon 9. A cluster of communications satellites for Orbcomm, which operates a fleet of spacecraft in low Earth orbit to track ships, corporate assets and relay messages, is being prepared for the flight. The launch could occur as soon as around Dec. 15, according to Marc Eisenberg, Orbcomm’s chief executive. 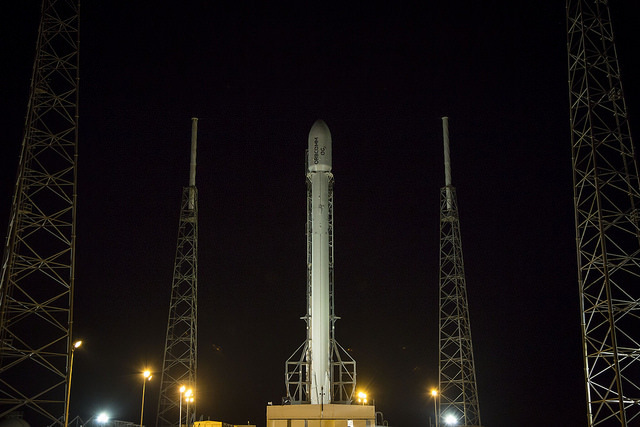 A launch Dec. 15 would occur around 10 p.m. EST (0200 GMT on Dec. 16), sources said. But the target launch date is not official, and SpaceX must first connect the pieces of the rocket together and complete a ground-firing of the rocket’s nine first stage engines on the launch pad in Florida. 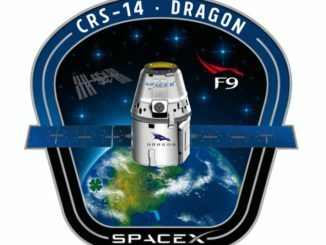 Orbcomm in late October began shipping its 11 satellites slated to ride the Falcon 9 to orbit from their factory at Sierra Nevada Corp. in Colorado to the Florida spaceport. The Falcon 9’s first stage arrived at Cape Canaveral in November, and the second stage is to be delivered this week after leaving SpaceX’s Central Texas test site, Eisenberg said. The mission is crucial for SpaceX. 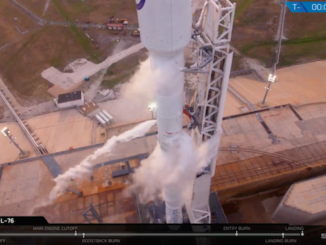 It is both the Falcon 9’s return-to-flight launch and the inaugural voyage of an up-rated version of the launcher, an upgrade that was already planned before a June 28 rocket failure that destroyed a Dragon supply ship bound for the International Space Station. SpaceX blamed the accident on a weakened structural brace inside the second stage’s liquid oxygen tank. The component was not built to specification by a SpaceX subcontractor, officials said, and it fractured minutes after launch from Cape Canaveral, causing a high-pressure helium reservoir to break loose inside the oxygen tank, leading to the break-up of the booster. On the upgraded — or “full-thrust” — Falcon 9, the rocket’s nine Merlin 1D engines will generate additional power, topping out at more than 1.5 million pounds of thrust at sea level. Each of the first stage engines will provide 170,000 pounds of sea level thrust. That is up from 147,000 pounds of sea level thrust per first stage engine on previous Falcon 9 flights. A space-rated Merlin engine on the upper stage will have a maximum 210,000 pounds of thrust in vacuum, and it features a lengthened nozzle and extended tanks. 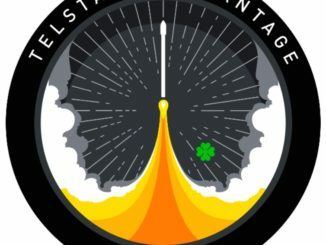 The interstage connecting the Falcon 9’s first and second stages is also changed to accommodate the new Merlin vacuum nozzle, which has a center pusher to aid stage separation, according to space industry officials. The design modifications increase the rocket’s height by about 5 feet — to 229 feet — and boost the Falcon 9’s performance by about 30 percent, officials said. The upgrades allow the Falcon 9 to lift heavier communications satellites into geostationary transfer orbit, and still have enough reserve propellant to attempt a landing of its first stage booster. A NASA official told reporters Tuesday that SpaceX planned to recover the first stage from its next Falcon 9 launch on a landing pad at Cape Canaveral Air Force Station, bypassing another try to guide the rocket to an offshore barge like on previous landing attempts. “Their plan is to try to land (the next booster) out here on the Cape-side,” said Carol Scott from NASA’s commercial crew program, according to a report published by Florida Today. Scott cited a SpaceX executive in her comments, Florida Today reported. SpaceX declined comment on the plan, but Elon Musk, the company’s chief executive and founder, said on Twitter last week that SpaceX’s experiments with rocket reusability, an achievement he says would drastically slash the cost of spaceflight, would continue after a rival company nailed a vertical landing of a suborbital launcher. Blue Origin, backed by Amazon.com’s Jeff Bezos, launched a rocket just beyond 62 miles (100 kilometers), the internationally-recognized boundary of space, and to a speed of Mach 3 before returning the booster to a successful landing. The touchdown made Blue Origin’s New Shepard rocket the first commercially-developed vehicle to take off under its own power, fly into space and return to Earth safely. SpaceX’s launch profile is vastly different than Blue Origin’s, and Musk argued on Twitter that landing a Falcon 9 first stage booster — an objective not yet achieved by SpaceX — may be more difficult than recovering a rocket like the one flown by Bezos’ company. In any case, a bid to return the Falcon 9 rocket to a landing facility leased by SpaceX from the U.S. Air Force will require approvals from the Federal Aviation Administration and the Air Force-run range at Cape Canaveral. And it is not clear if the regulatory and safety agencies will grant approval for a landing on the coast for the next Falcon 9 flight.